"Someone with the ability to answer spontaneously almost every question about ecosystems, eco construction, off-grid and renewable energy systems, with incredible precision and experience." "I learned SOOO much from Samuel, and he was such a gracious teacher." "I highly recommend spending some time here to learn from Samuel and be a small part of the great work he is doing. I can't wait to retuen!". "I have been there already 4 or 5 times. It is an amazing surronding to learn." "This place is absolute magic." Be part of the Change! Come join us for this Natural Living Intensive at Finca Nuevo Mundo, Lake Atitlan, Guatemala where you will experience an ecological and zero waste lifestyle while acquiring skills to regenerate the Earth! This Winter Semester Green New World is offering four Internships in Natural Building, Permaculture, Appropriate Technology and Regenerative Specialty Coffee. The programs are there to provide you with experience, skills and exposure to experimental methods while living an eco lifestyle. For those interested to go deeper with their training we offer special packages combined with courses to complement the Internship program. Study material, meals and lodging are provided. Monthly contribution is US $300. Please send us a message to register. The Natural Building Internship provides hands-on experience in various techniques depending on current activities. 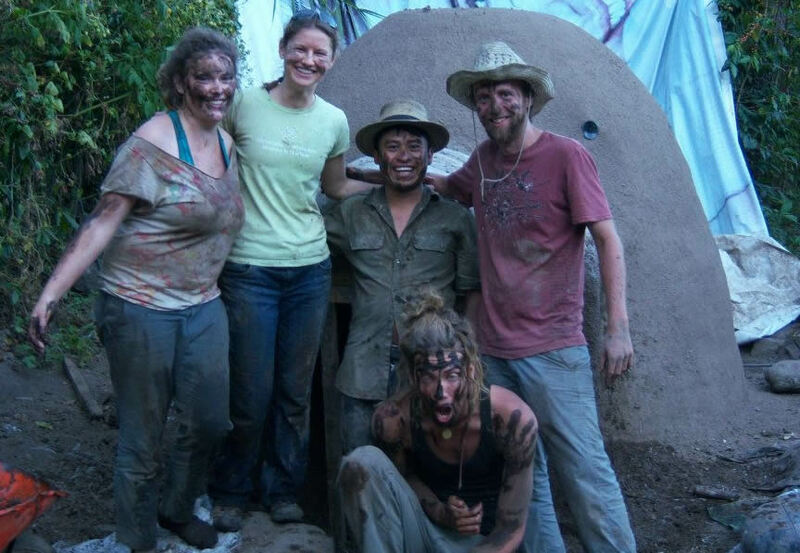 Generally we work with Superadobe, cob, adobe, stone, bamboo and timber with earth building taking the center stage. We also like experimenting with new materials and techniques. In addition we are in the process of growing building materials such as bamboo, timber and palm thatch. Currently most of our efforts are dedicated to Project HOPE involving natural clay and lime plasters, natural water proofing, mosaics, earthern floors and carpentry while crossing paths with passive thermal regulation and various energy water and waste systems integrated into Project HOPE. Previous experience is beneficial however not required. Study material will be provided before the Internship. Internships in Natural Building are one month minimum from December till May and 3 months from May till December. 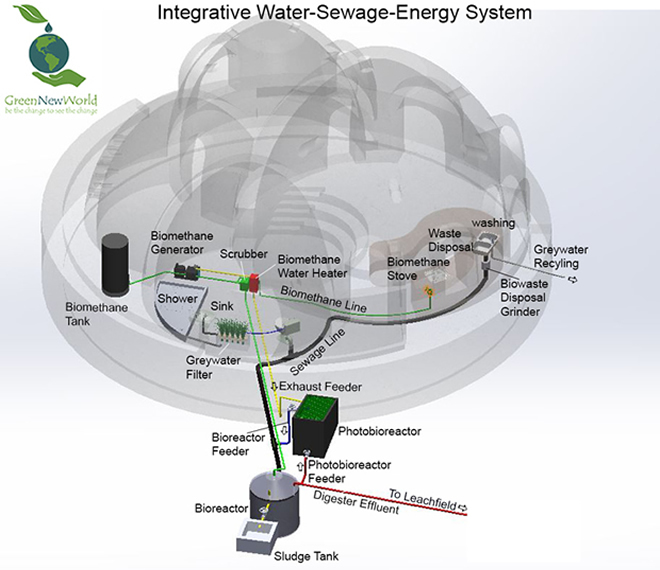 The Appropriate Technology Program focuses on building experimental and simple energy, water and waste systems. Interns will receive much knowledge and experience in the selected topic. The current internship program is dedicated to completing the modules for Project HOPE. Some modules like the biomass gasification require specific skills or qualifications. We are currently offering Appropriate Technology Internships in rain catchment, biogas generation, greywater filtration, thermo-electric generator, solar hot water heating, hot water heat-exchanger, multi-functional oven, algal biofuel production and biomass gasification. The internship duration is based on the demands of the project and may vary from 1 to 3 months. Internships in appropriate technology require careful planning and therefore we ask to apply well ahead of time to prepare for the project. Please inquire on the requirements for the project of your interest. The Permaculture Design Internship is focused on regenerating landscapes. Land degradation accounts for one of the greatest challenges of our planet. 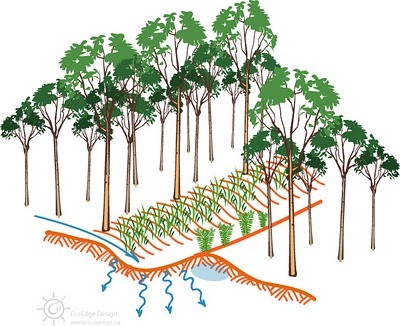 On average every hectare of land loses one ton of soil annually to wind and water erosion. You will learn to analyze the landscape and apply permaculture design to stop degradation and integrate restorative methods. This internship provides you with the skills on regenerating landscapes including nutrient retention and soil buildup strategies, sustainable water management with regenerative food production systems. Internships in Permacuture Design are one month minimum from December till May and 3 months from May till December. PDC or similar advisable. This internship will expose you to regenerative polyculture coffee cultivation methodology and ecological processing of Specialty grade coffee. 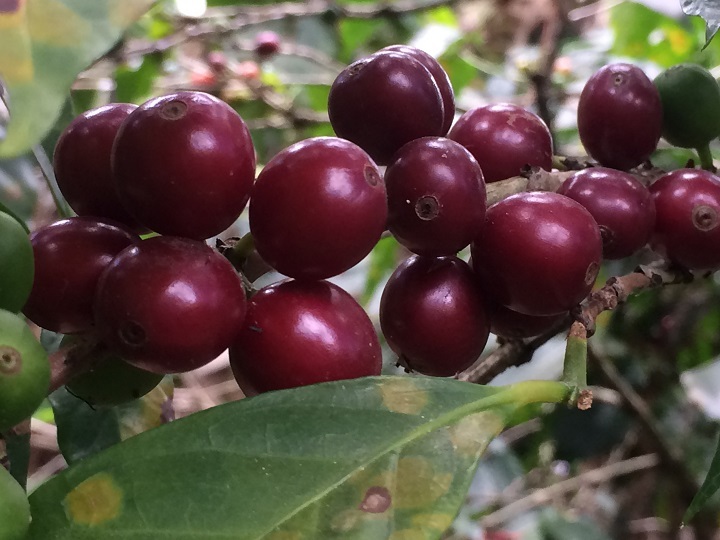 Finca Nuevo Mundo's award winning Specialty coffee has set a standard for carbon neutral and environmentally friendly cultivation, and processing methods. The coffee is grown under the shade of a polyculture food forest with numerous nitrogen fixing plants to provide nutrients to the soil. Wet processing of coffee is the most common practice in Central America. On average, every kilogram (2.2 pounds) of coffee fruit processed generates 35 liters(9 Gallons) of nutient rich waste water. We have established a model for ecological coffee processing by recycling the wash water two times and using the final wash water to feed and irrigate bananas. 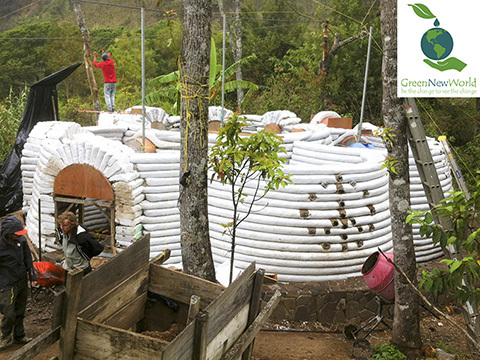 With Permaculture design it is possible to turn a problem into a solution. This Internship is only offered from December to March with a one month minimum duration.